The Civil Society Organisations (CSOs) globally have written the President of Cameroon and agencies incharge of telecommunications to return Internet access to the Anglophone Cameroon, reports ITRealms. A copy of the letter dated January 22 and made available to ITRealms by Internet Without Borders, insisting that an internet shut down is a human rights violation. According to Internet Sans Frontiers in the letter to President of Cameroon, there has not been Internet connectivity in the South West, and North West regions of Cameroon, following recent government orders on operators to block communications over the Internet in the said regions which are mainly the Anglophones part of the country. They also implored the country leaders to restore the Internet, declaring “We implore you to keep the internet on." They argued that research has shown that internet shutdowns and violence go hand in hand. Shutdowns disrupt the free flow of information and create a cover of darkness that allows repression to occur without scrutiny. 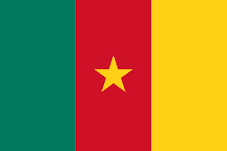 Worryingly, the Republic of Cameroon would be joining an alarming global trend of government-mandated shutdowns around election issues, a practice that many African Union member governments have recently adopted, including: Burundi, Congo-Brazzaville, Chad, Gabon, Egypt, Sudan, the Central African Republic, Niger, Democratic Republic of Congo. The cautioned that Internet shutdowns with governments ordering the suspension or throttling of entire networks, often during elections or public protests, warning it must never be allowed to become the new normal. The CSOs noted that though justified for public safety purposes, it stressed that shutdowns instead cut off access to vital information, e-financing, and emergency services, plunging whole societies into fear and destabilizing the internet’s power to support small business livelihoods and drive economic development. In addition, a study by the Brookings Institution indicates that shutdowns drained $2.4 billion from the global economy last year. The Internet shutdown imposed in anglophone territories of Cameroon will hit hard on the burgeoning digital economy, which is blossoming in Cameroon’s Silicon Mountain, Buea.